Saniya is a 10-year-old with an enlarged heart functioning only at 5% of its capacity. She has stopped school and needs an urgent heart transplant to live. 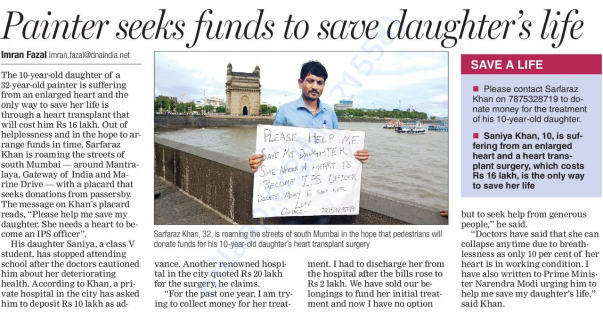 Her father Sarfaraz paints walls and is struggling to raise funds for Saniya. He only managed to get her preliminary treatment because he walked on the streets with a board asking for money. Depending on the work he gets, Sarfaraz earns about 5,000-8,000 every month. 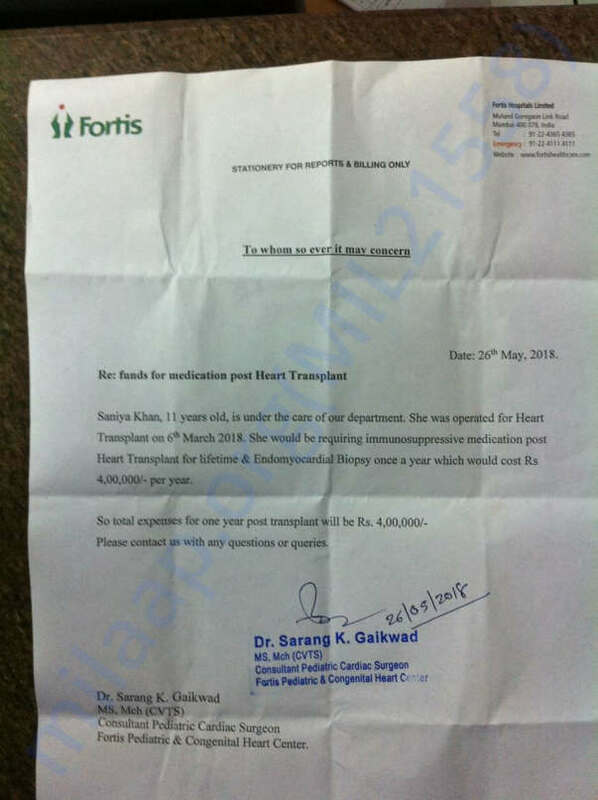 His life suddenly took an unreal, shocking turn the day he was told his daughter's heart was failing and he needed Rs 16 lakhs for a heart transplant. He could thing of absolutely no way to arrange that much. 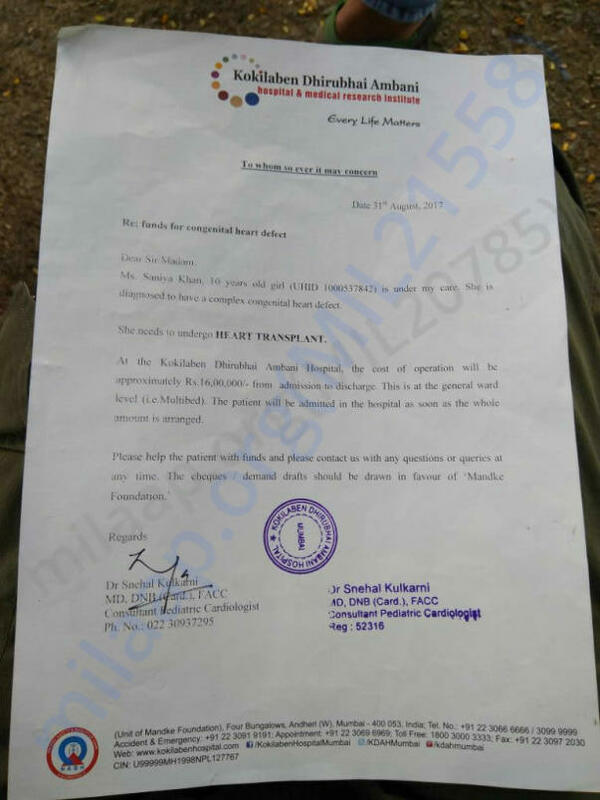 The total amount for this operation is around 16,00,000 INR, but with the help of a NGO 6 lakhs has been managed, the amount required now is 10,00,000 INR. Her father is a painter, and sole bread earner of the family, with a very less savings. One more request to you all. There is a need for medication and checkup cost every month for saniya. The budget stated by the hospital is approx 4 lakhs rupees per year. Request you to kindly donate for the child's good health. May god bless you for your generosity. Here is an update on Saniya. 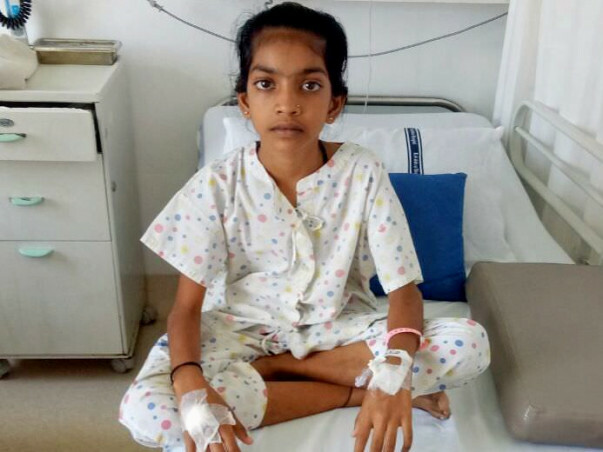 Saniya is undergoing the treatment and still, the family has not found a heart. Saniya is been kept on a strict diet and strict standards conditions by the doctors to maintain her health. There are lots of issues while finding a heart, as there are weight and blood group differences many a time. I am in frequent contact with Saniya's dad. 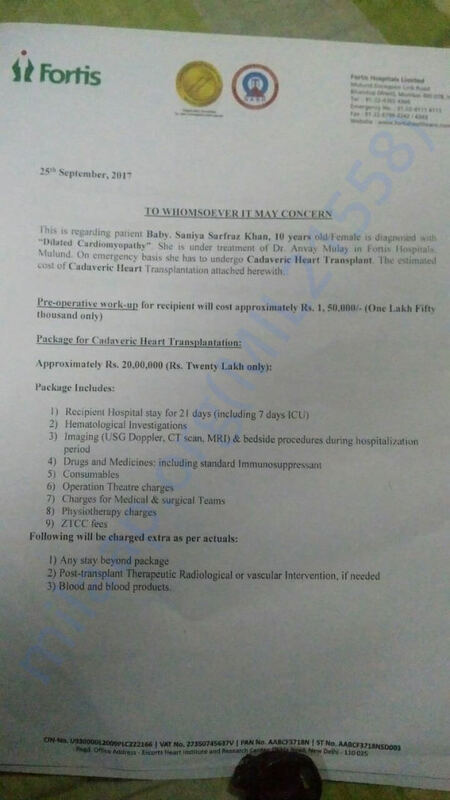 They might require an additional fund to carry on the treatment till they get a heart.